Patrick McSharry is a Senior Research Fellow at the Smith School of Enterprise and the Environment, Faculty Member of the Oxford Man Institute of Quantitative Finance at Oxford University, Visiting Professor at the Department of Electrical and Computer Engineering, Carnegie Mellon University, Fellow of the Royal Statistical Society and Senior Member of the IEEE. He takes a multidisciplinary approach to developing quantitative techniques for data science, decision-making and risk management. His research focuses on big data, forecasting, predictive analytics, machine learning and the analysis of human behaviour. He has published over 90 peer-reviewed papers, participated in knowledge exchange programs and consults for national and international government agencies and the insurance, finance, energy, telecoms, environment and healthcare sectors. 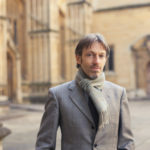 Patrick received a first class honours BA in Theoretical Physics and an MSc in Engineering from Trinity College Dublin and a DPhil in Mathematics from Oxford University.